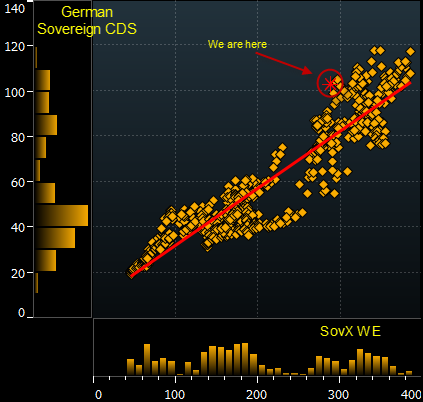 As a quick follow-up to the post on Germany's growing exposure, here is a scatter plot of German CDS vs. SovX WE - the Western European sovereign CDS index. It shows that on a relative basis, German CDS spread is elevated. As the nation's exposure increases, we should see this divergence become more pronounced.